There’s a sort of beautiful, gentle quality about some games that just soothes you. You play them and they make you smile. You get involved with the people in that world and you see something under the surface that the game doesn’t seem like it’d support. You listen to the music that was created specifically for this section here and it makes your toes tap. Yono is all those things. So let me tell you a little about them. A town. Plenty of quests and interesting lore. 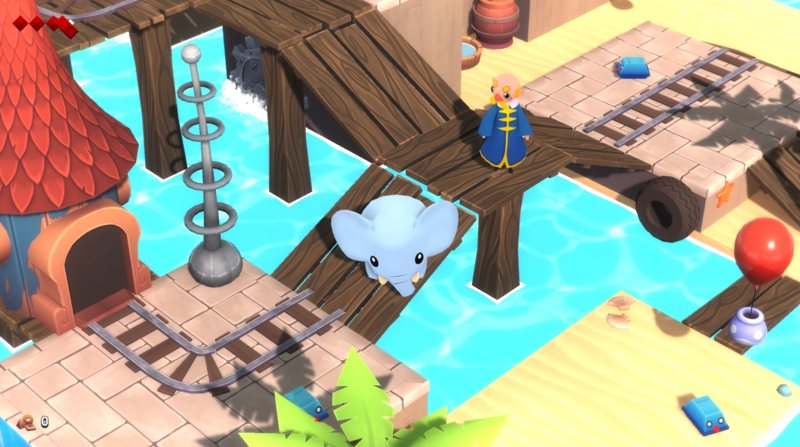 Yono is an unassuming game by Neckbolt Studios. In it, you pilot the titular character as they go on a quest to solve the varying problems that the inhabitants of this world have. Some of these problems are pretty small and you can solve them by just walking around and [literally] bumping into things. Some of the problems, though, are much bigger and tie the world together. Solving one of these problems might help ALL of the people in that same area. It is in this way that Yono builds narrative. As you talk to the quest givers throughout the world, they tell you little things about it. How the elephants matter. How the races of the world fit together. How places came to be as the result of actions that have impacted the world for – sometimes – thousands of years. Yono does all this in a fairly quiet and gentle manner. For the most part, you’re an elephant solving problems, not a battle hardened warrior. Moreover, you’re a new elephant solving problems, so you’re not always even sure if you’re doing the right thing. It’s an interesting take on “the hero,” although, and unfortunately, Yono doesn’t expressly let you choose your outcomes. Rather, it sits the ambiguity into the dialogue and then just blithely allows things to progress in a manner that the developers have proposed. In one way, that’s fine. 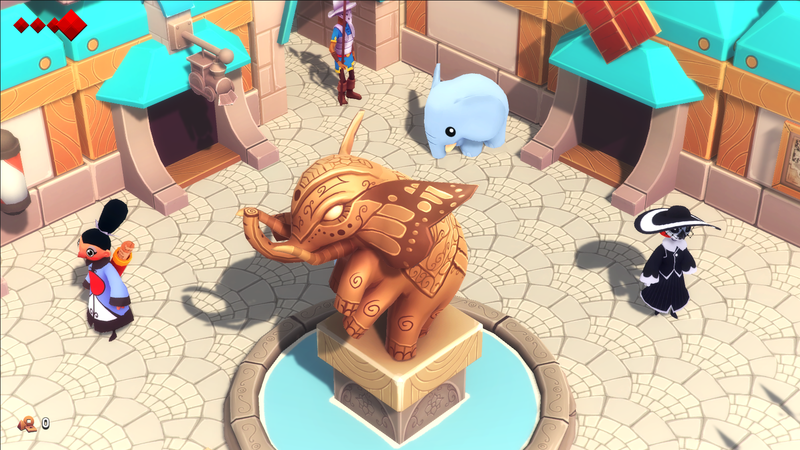 Yono isn’t a game about narrative choice. Instead, it’s a puzzle platformer at it’s core. You use your weight to push blocks that you manipulate to solve puzzles. Or you use your trunk to blow air over colourful tassels to get platforms to move. Or sometimes, you douse fire with water to get water-wheels turning so that machinery can start up. Don't count on me, I dungeoneer. This is the rock around which everything else is built and – for the most part – the platforming and puzzling are wedged firmly in the soil and build a quite solid play-foundation. The game will, for example, teach you an idea, then expounds on it in logical ways. There wasn’t any point where I was truly stuck and, in fact, from this perspective, I can heartily recommend it as a “first stepping stone” into the world of puzzle platformers. There are minor problems with the physics engine, though, and sometimes, it’s easy to break the flow of a room by stumbling over some part of the geometry you’re not really supposed to be able to cross. This sort of sequence breaking only happened to me a couple of times, though and for this, I have to applaud Neckbolt. There was – mostly – a great level of care put into making a quality product. This idea of quality extends in lots of little directions in Yono, from the train station that formed a hub [making it easy to go back and forth between sections when you wanted to] all the way to the little vendors scattered throughout the game selling different looks for Yono. There’s no nickel and diming here, either. If you see it in that little store, you can buy it after maybe thirty or so seconds of collecting coin throughout the realm. It’s a great way to personalize the experience and engage younger players. When they’re tired of trying to figure out a room, they can bash some pots around, get some money and change the way Yono looks without very much trouble at all. In this way, Yono’s very apt for young people, too. 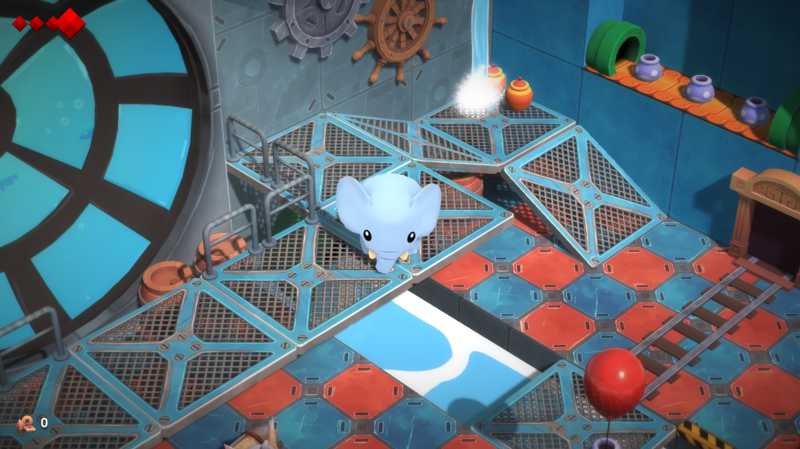 Most of the game is built around a bright, colourful palette that is mostly easy on the eyes. There’s one section that – as a result of the stylistic choice to be isometric – makes for some troublesome trekking [you end up thinking the “floor” of the room is autumn leaves you can just fall into without dying] – but by and large, there are a lot of greens and ambers and the people all dress in colourful tunics that make them stand out. The only real trouble here is the dungeons. For at least two or three of these, the developers went with an earthern feel. All somber and brown. And this, sadly, doesn’t do the game much justice. But let’s not dwell on that and, instead, let’s talk about the soundtrack. Yono has a fantastic array of little songs that play as you go. From the toe-tapping title tune all the way to the end-slate song, there’s a lot to enjoy here, emphasizing the playful nature of the experience contained within the game. I’m not sure it’d work very well outside of the confines of the game [most of these are loops, set up for being in a dungeon or walking around a town] but so long as they’re in the game, they’re quite apt and a pleasure to listen to. Yono's places are a rich tapestry of interesting sights and sounds. Finally, I want to touch on the story – not to spoil it, mind you – I feel that does a certain disservice to this particular game – but to say that Yono isn’t what it seems. At first, you’re absolutely drawn in by how cute the whole thing is [and it is cute. Whenever Yono blows some air from his trunk, he closes his eyes in just such an adorable fashion that it’s hard not to smile] but as you play and as the world is revealed to you, you will discover that there’s a lot of depth to the plot – if not the characters – and that there’s a whole host of philosophical conundrums beating, like a steady counter-rhythm to the playful platforming. 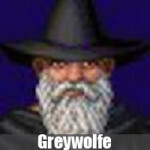 While, yes, it’s true that there’s spelling errors in the text, and certainly sometimes, there’s a grammatical whoopsie whenever you’re trying to parse whatever’s being told to you, most of these philosophical tangents fit well into the game’s lore and discusses some interesting topics that, especially, will get younger people to think a little. They’re fine conversation pieces and again, I applaud Neckbolt for trying something a little off the beaten path. Do I recommend it? Absolutely. While it’s true that it is short - my 100% playthrough clocked in at 13 hours, and much of the last few hours were devoted to gaining the currency of the land to get all the costumes [not a necessity, here. Neckbolt made a wise decision and didn’t saddle this game with achievements or trophies] – it is also sweet and doesn’t overstay it’s welcome. 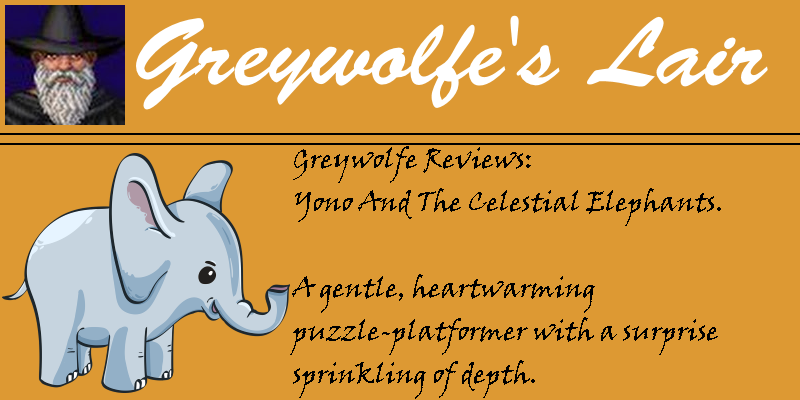 Yono is – absolutely - a solid game at a reasonable price.